Continuing down State Route 9 into the town of Ben Lomond, we found more open spandrel arch bridges. There must have been a rule in the 1920s and 1930s that state bridges over rivers had to be concrete arches. This policy (if it truly existed) has proven to be bad because it restricts stream flow but also good because it resulted in many long-lasting attractive bridges. 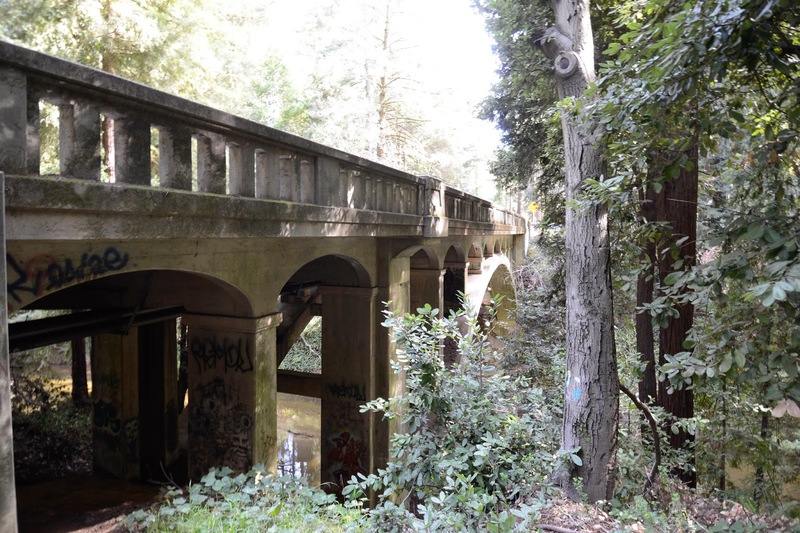 The San Lorenzo River Bridge (36 0047) carrying SR 9 in Ben Lomond is a 150 ft long bridge with a 100 ft long open spandrel arch span over the river. This bridge was built in 1933 and has two 12 ft wide lanes, no shoulders, but wide sidewalks. Santa Cruz County, California Bridges: State Route 9 Bridge across the San Lorenzo River by Mark Yashinsky is licensed under a Creative Commons Attribution-NonCommercial-NoDerivatives 4.0 International License.